As an agency with a bunch of e-commerce clients, we run a lot of Google Shopping campaigns. Not surprisingly we’ve been testing Smart Shopping for some time now. Based on our own experience and discussions with our peers, we have some initial insights to share. You should consider this article preliminary with more to come in the near future. The most time-consuming part of setting up Smart Shopping is often creating the non-standard size banner for dynamic remarketing. 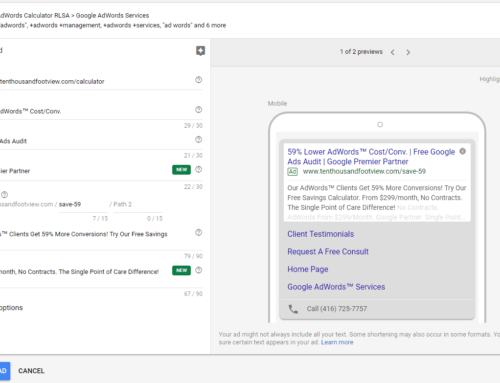 Leaving your target ROAS blank will let Google spend all your money regardless of results. This will actually speed up “learning” but you might not like what you see in terms of ROAS. We recommend setting the ROAS. 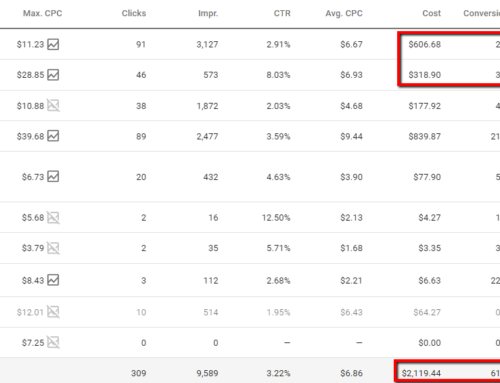 And by the way, if you need a different ROAS for certain product types you should make multiple campaigns. Don’t mess with it for 4-6 weeks! Outside of budget changes and adding/removing product groups and possibly changing your target ROAS, there isn’t a ton to do with this campaign type. Clearly, they do need frequent monitoring to ensure they don’t go off the rails. They don’t, however, take nearly as much work as traditional Shopping campaigns do. If you have expert help managing your traditional shopping campaigns and aren’t seeing good numbers, Smart Shopping isn’t going to magically double your ROAS overnight. You may see some incremental improvement over time but that’s about it. Why Does Smart Shopping Work Great for Some Advertisers? As with all things “Smart” from Google, these campaigns are data-driven beasts. If you have a low number of SKUs relative to your budget, you can expect that the AI will do a really good job of bidding the right amount in short order. Did you have your SKUs broken out into product types with appropriate bids? Where your audiences properly configured? Have you reviewed and modified bid adjustments for devices, locations, ad schedules, and so on in the past month? Did you regularly add negative keywords to your ad groups to remove low performing queries? If you answered no to any of these then your new Smart Shopping campaign has a huge advantage right out of the gate. Clearly, if you’re going from a mismanaged standard Shopping campaign to a Smart Shopping campaign, you’re going to see improvement. Why Doesn’t Smart Shopping Work Great for All Advertisers? We believe there are a few situations where Smart Shopping doesn’t work well compared to traditional shopping. The first case is when you have a massive number of SKUs and non-matching budget. Google’s AI needs data to work. If you starve the machine you aren’t going to get good results. In a scenario like this, we recommend starting Smart Shopping with a sub-set of top selling SKUs and let it run for a while. Once you’re seeing good numbers you can start to roll out additional product groups. The second case is when you have SKUs that don’t sell well from broad match and non-branded search queries. For example, if you sell auto accessories and don’t convert on keywords like roof rack or floor mats you may not do well with Smart Shopping. We guess this is because Smart Shopping will spend a lot of money on low performing keywords before figuring out they don’t work. In both scenarios having a large data set to feed Smart Shopping from your original campaign can help address these issues. It takes about 4-6 weeks for Smart Shopping to complete its initial learning phase and provide credible conversion data for analysis. This can seem like aeons for an advertiser that relies on Google for revenue, profit, and cash flow! As an agency, we feel your pain. On one side we have Google saying “hang in there” and on the other, a client telling us they are losing money on every sale. This is a difficult problem to overcome. This kind of thing can harm the relationship between the 3 parties, especially when you end up with less than stellar results. Thankfully many Smart Shopping campaigns perform well right out of the gate. Where’s my Keyword Data Bro? I was literally asked this question by a client. One of the great things about running old school shopping campaigns is that you get great insights from the keyword data, audience performance, and more. 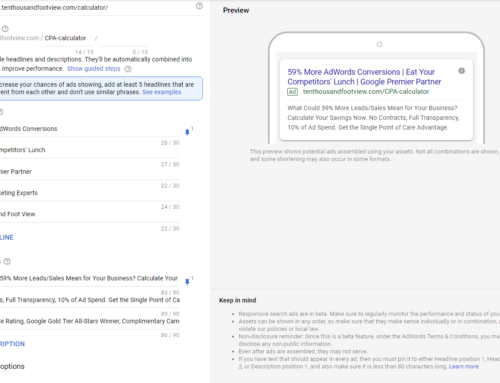 You can then parlay that into traditional search campaigns or use what you learn on other platforms like Bing Ads or even Facebook Ads in some cases. But this data simply isn’t available in Smart Shopping and that’s a real problem for advertisers that don’t put all of their eggs into the Google Shopping basket. Consider this limitation carefully before you get started with Smart Shopping. Smart Shopping campaigns are a bit hit and miss so far. As with many “Smart” initiatives at Google, these products work extremely well for advertisers that have inefficient campaigns to begin with. But, if you have a dialled-in shopping campaign you’re not likely going to see the needle move much and it could even move in the wrong direction. That said, this campaign type is here to stay and is only going to get better over time. Whether you decide to take the plunge now or later is really the only question for most advertisers.